Traditionally a carnival was an annual festival that usually took place before Lent. 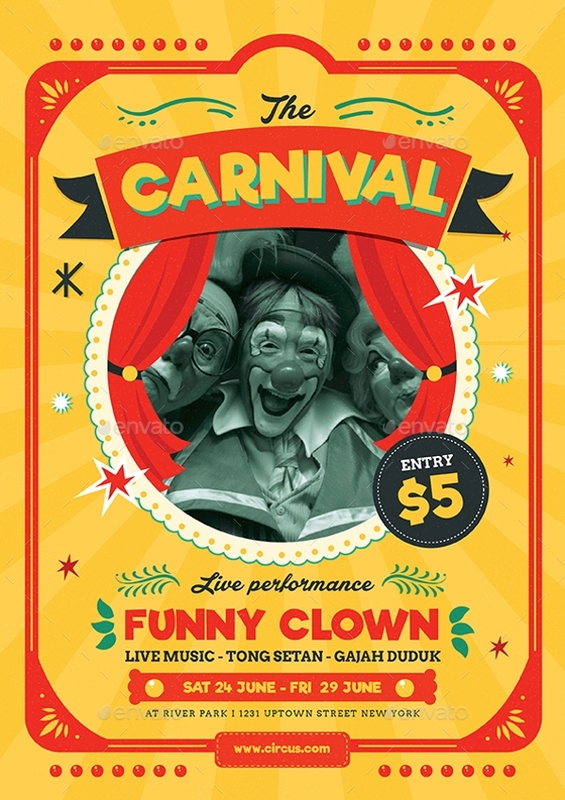 But through the North American linguistics, carnivals are an anything with a public gathering filled with a joyous crowd and maybe a funfair along with a traveling circus. You can also see Photography Flyers. 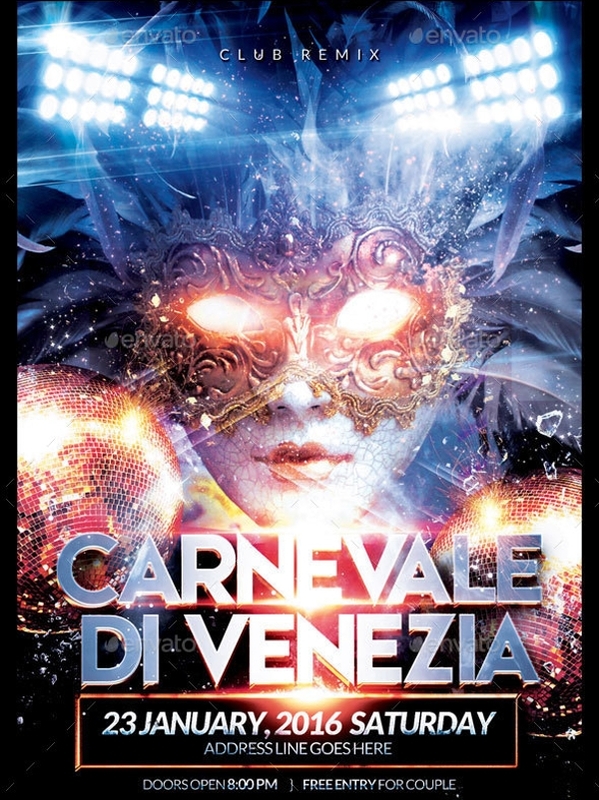 And more often than not, these carnivals and social gatherings need to be advertised and promote, well before their starting date to create the buzz and get the crowd enthusiastic about it. This can be achieved through the use of flyers. And as a graphic designer, being able to work on different design ideas is always a plus point. 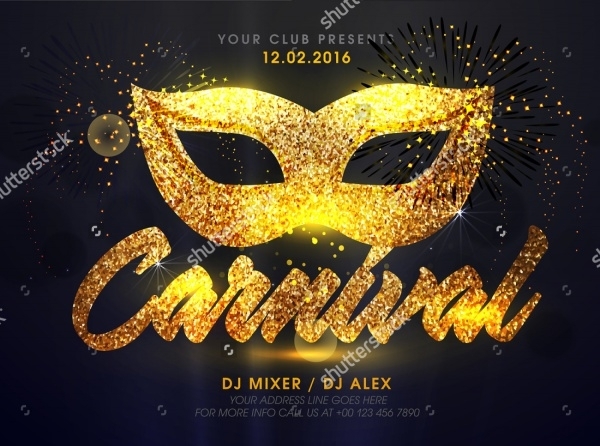 So here are various flyer templates, some to look at, some available as downloadable PSD files, that can be used for creating your own carnival flyer. 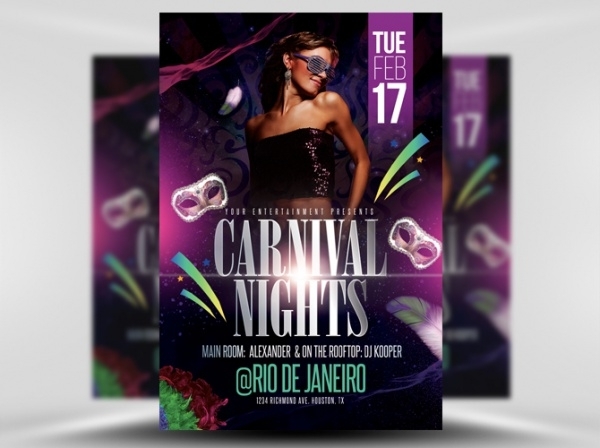 Though related to the carnival, you can use different elements to cover various party and event flyer designs. You can also see Hip Hop Flyers. 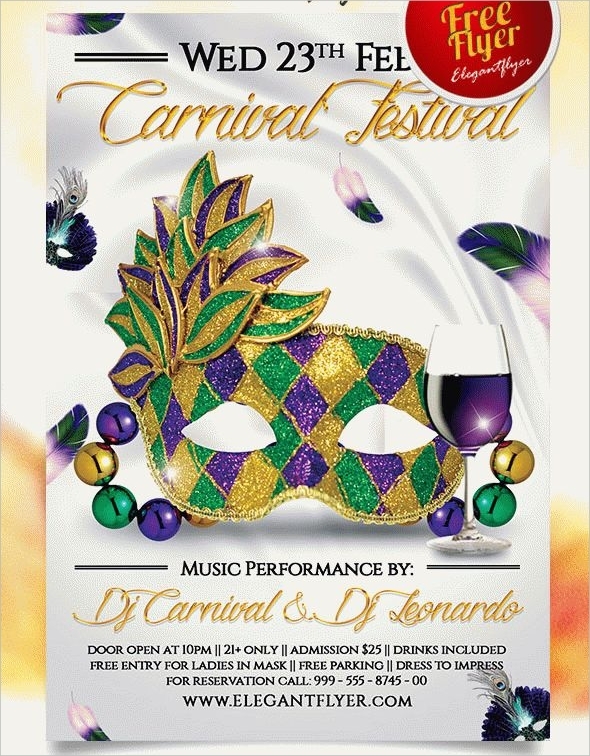 Everyone knows about Mardi Gras Carnival Festival. 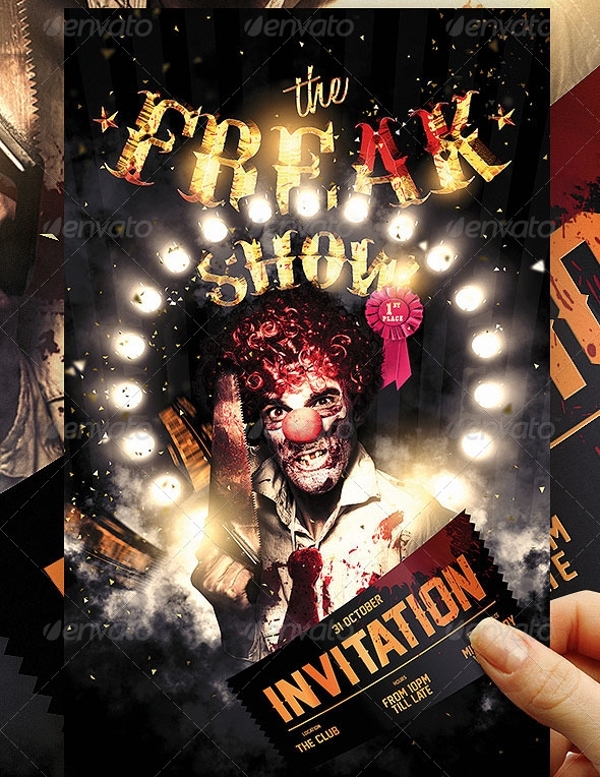 Here is one of the premium theme PSD template that can be downloaded in a print ready design. 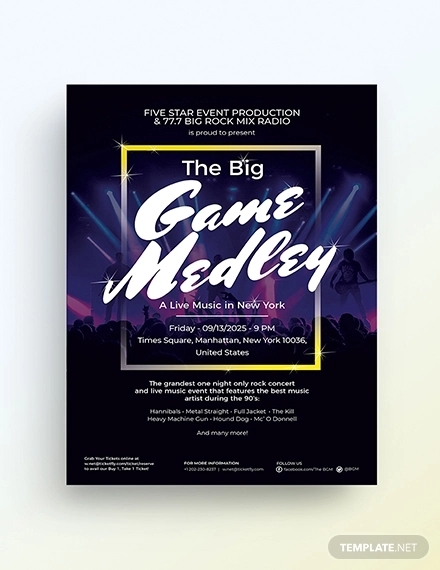 You can also see Karaoke Flyers. 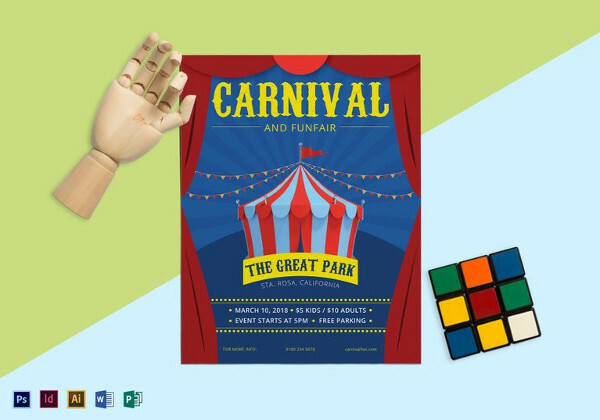 Here is a pretty basic and simple design for a carnival event that gives you space to place in your text and make it a reusable design. But, probably this design is just for inspiration purposes. 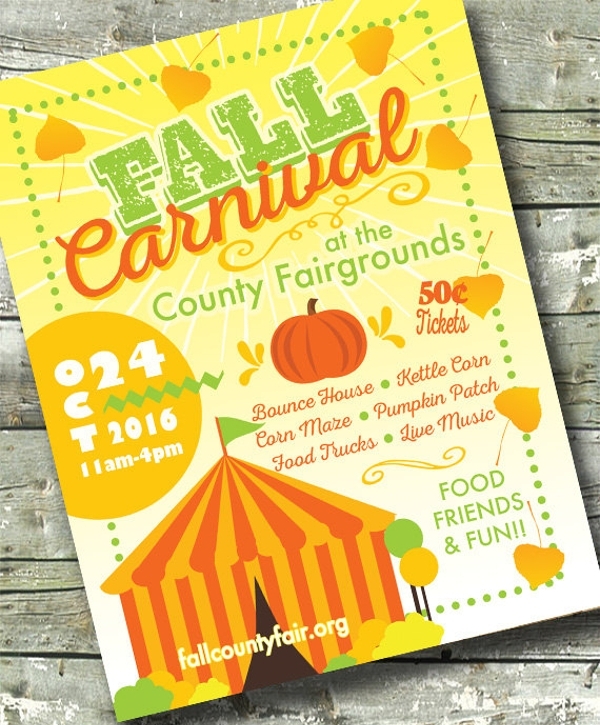 Check out this free flyer template that is available to you from the mentioned link. 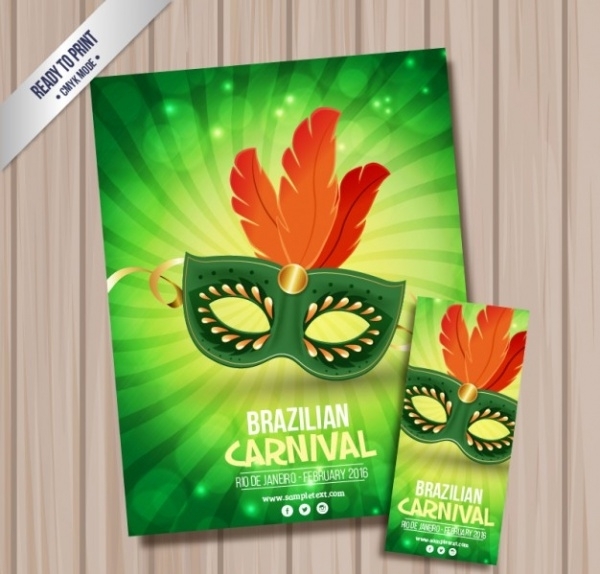 This design is a high-quality vector set in different shades of green and promote a Brazilian carnival. 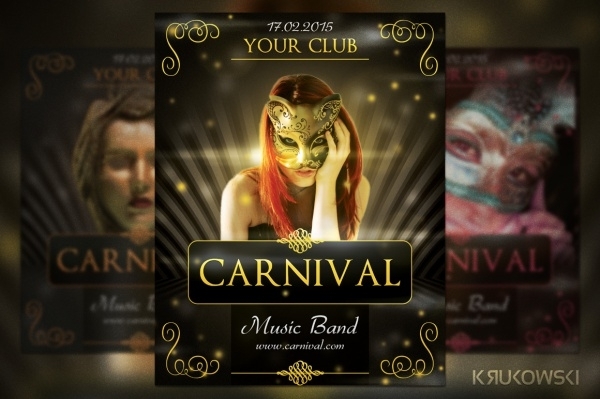 If your local club is organizing a carnival night, then you can easily woo them away with this elegant flyer design that will add charm to their next party. 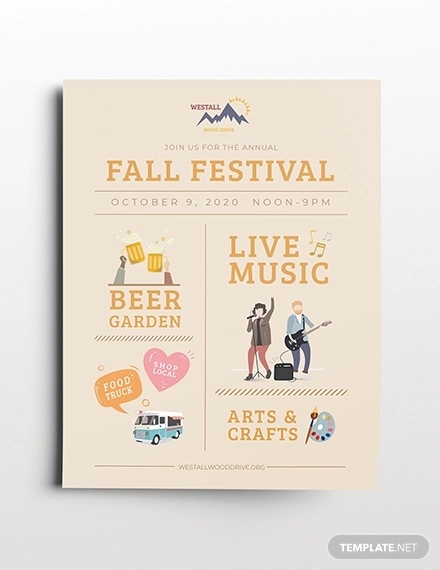 Here is a really soothing yet elegant flyer/poster design that comes in an easy to edit, organized and fully layered PSD file. The print ready design includes 0.25 inches of bleeds on all the sides. 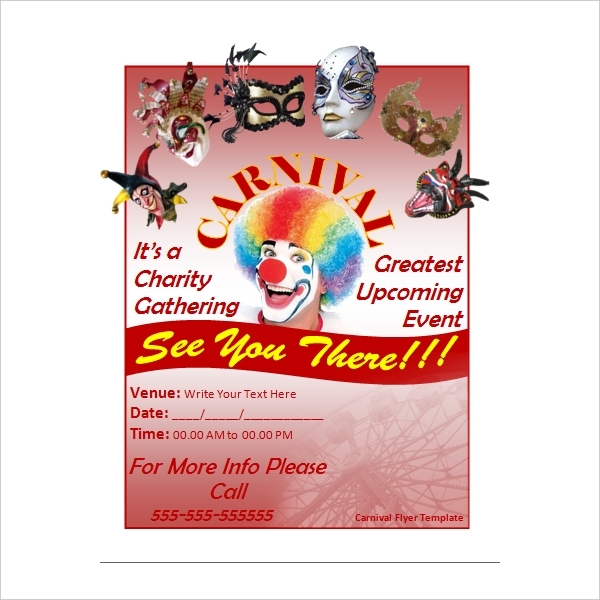 Here is a flyer template around the theme of the carnival for kids. 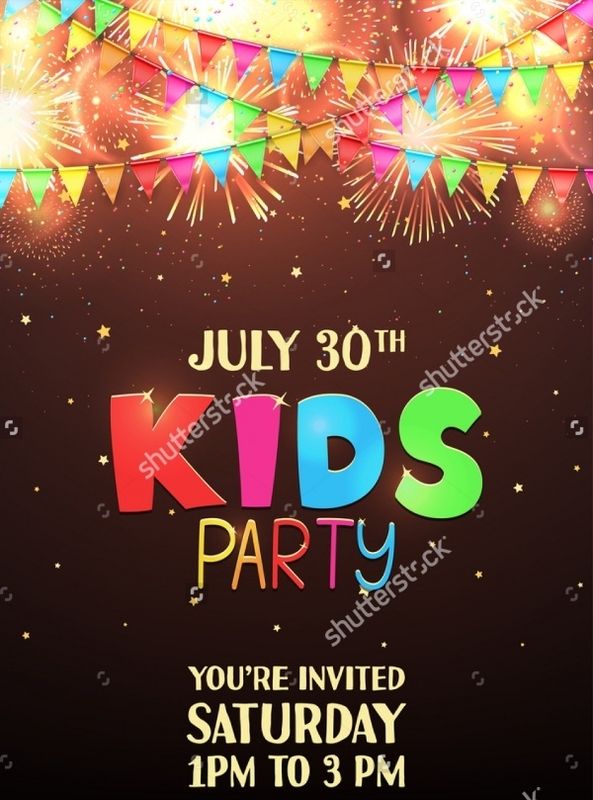 The idea of kids can be seen in the elements used in the design of the streamers and the choice of fonts. Sometimes you want to make a design for the elite. 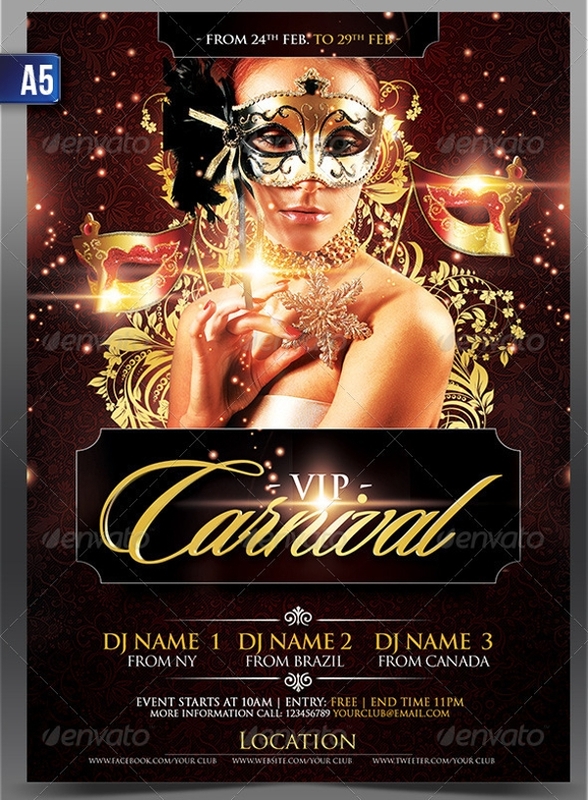 In such cases, this premium carnival flyer template will be of great use. The design is available in different sizes and layout for you to pick from. 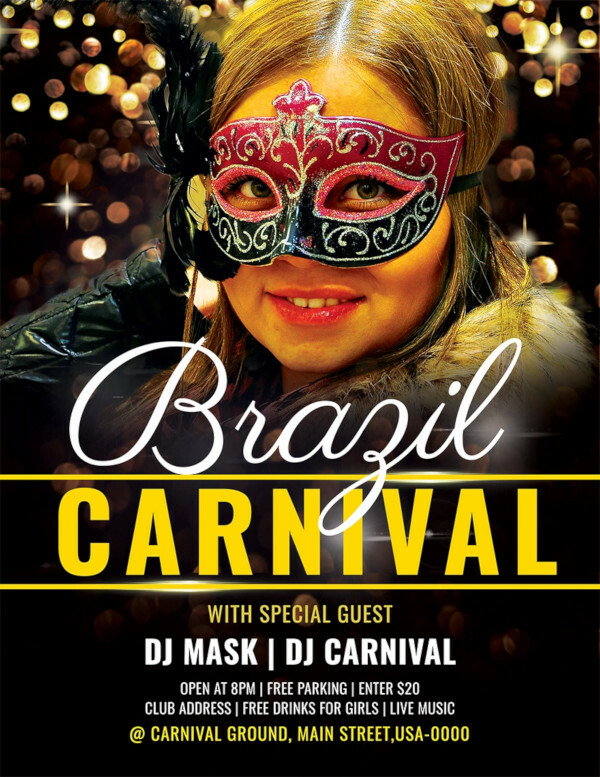 Brazil is known for its carnivals. 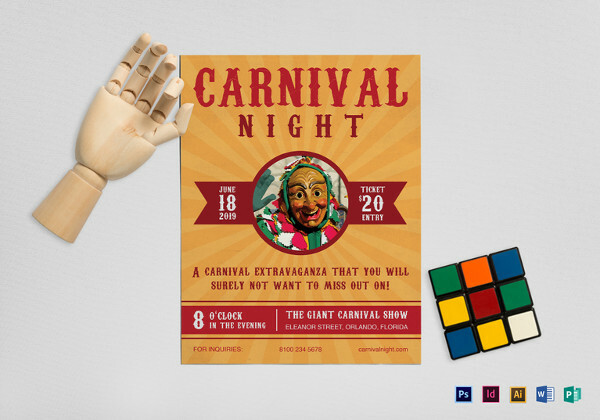 And it would be obvious to find so many carnival templates for the same. 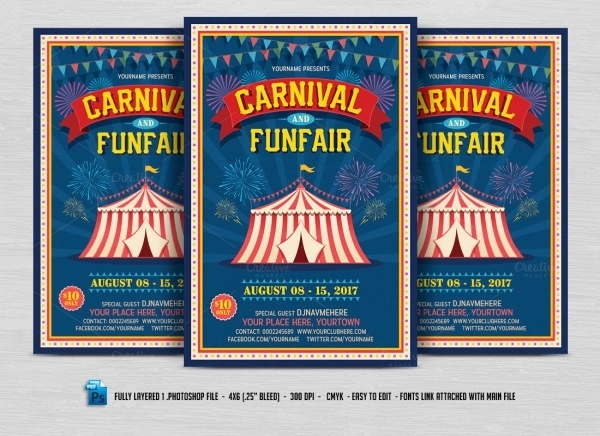 Here is a single PSD download for this brilliant design set in two different sizes and print ready CMYK colors and 300 dpi. 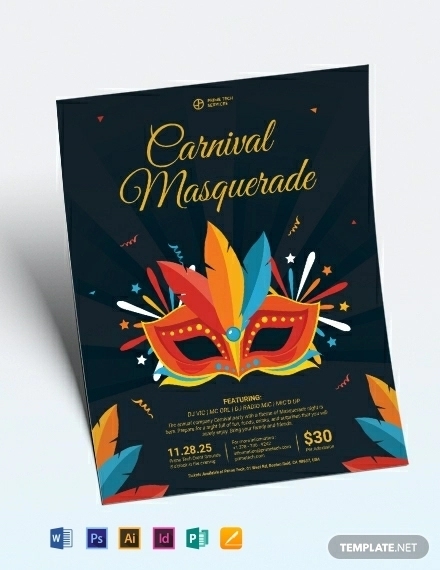 Here is a high-quality vector illustration that is made around the carnival theme. 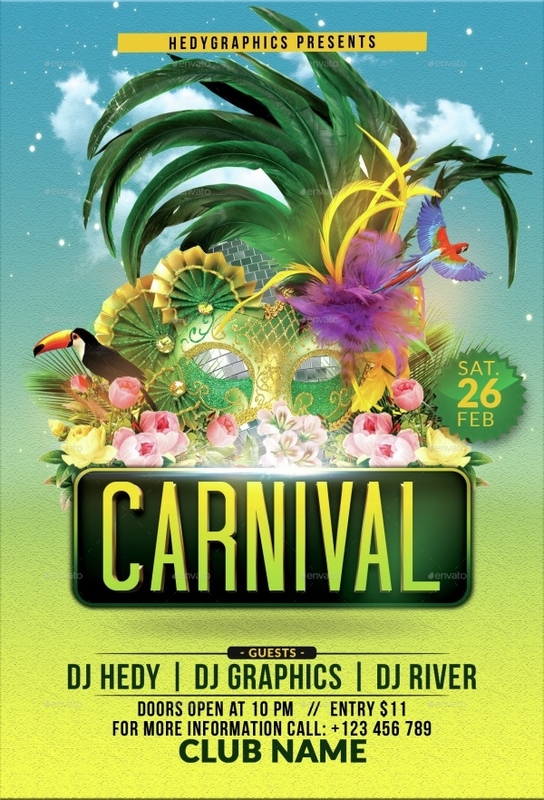 You can either download this illustration from the given link or use it to draw ideas for your next carnival design. 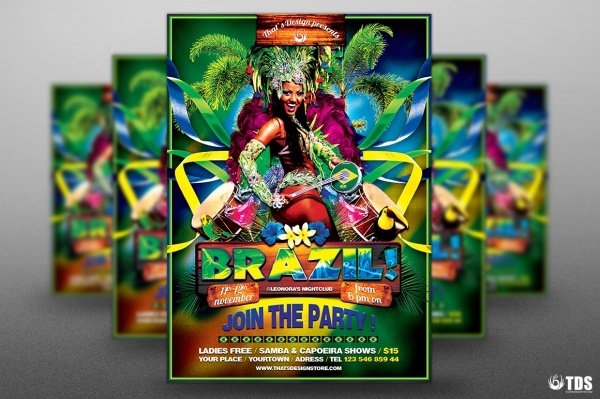 Check this amazing flyer template that is available for seven dollars from the mentioned link. 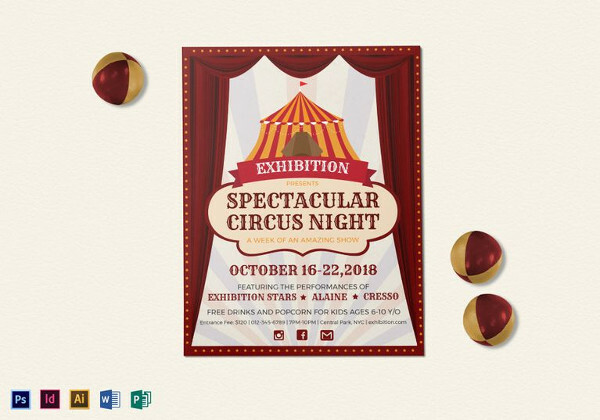 The design looks quite vintage and rustic that advertises a circus carnival very well in the retro theme it is supposed to represent. 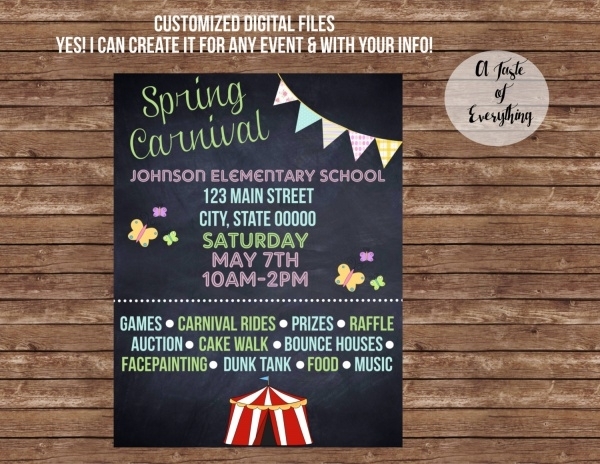 Here is a fun carnival flyer design that is available as a fully editable design in a size of 4 x 6 inches with 0.25 inches of bleeds. The details about the fonts that have been used in the design also come with the download. The trippy artwork used as the framing border of this design can even be spread over the entire design background and used as a wall poster in itself. 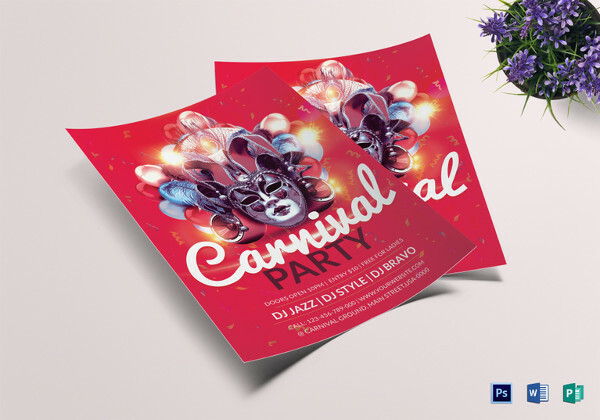 Add tropical and beach vibes to your carnival flyer design using this premium PSD template of a flyer in the size of 4 x 6 inches and print ready CMYK colors and a resolution of 300 dpi. 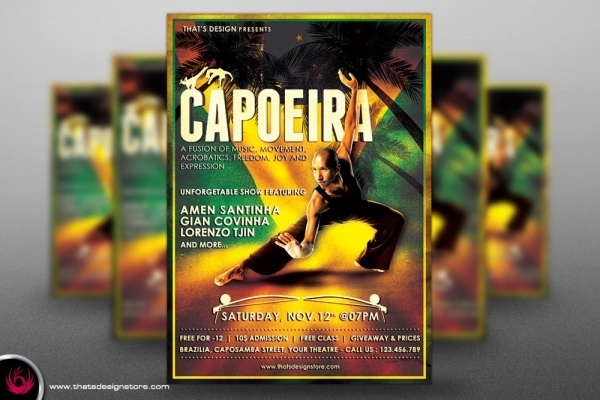 Here is a Capoeira flyer template that is available as a downloadable PSD file with completely organized layers and color-coded, making it easier for you to edit and customize. 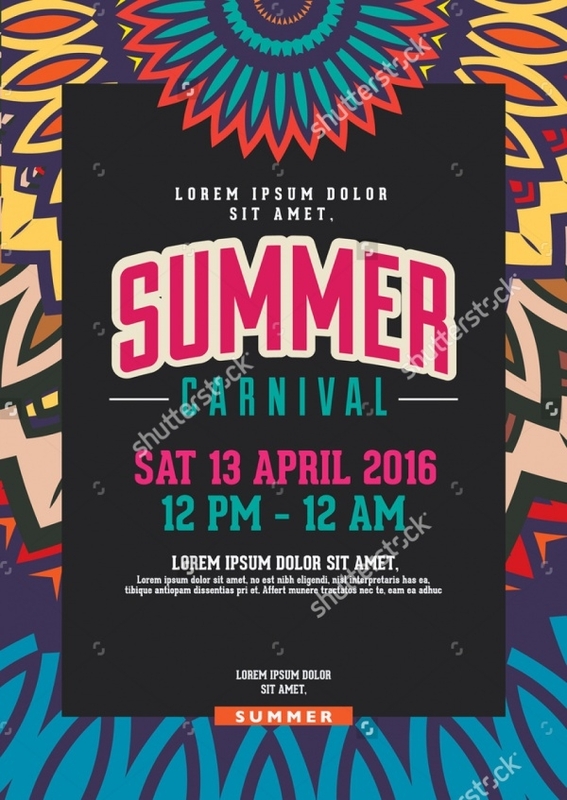 Add a full body background image on a flashy color with some shining elements, and truth be told, your carnival design is ready. 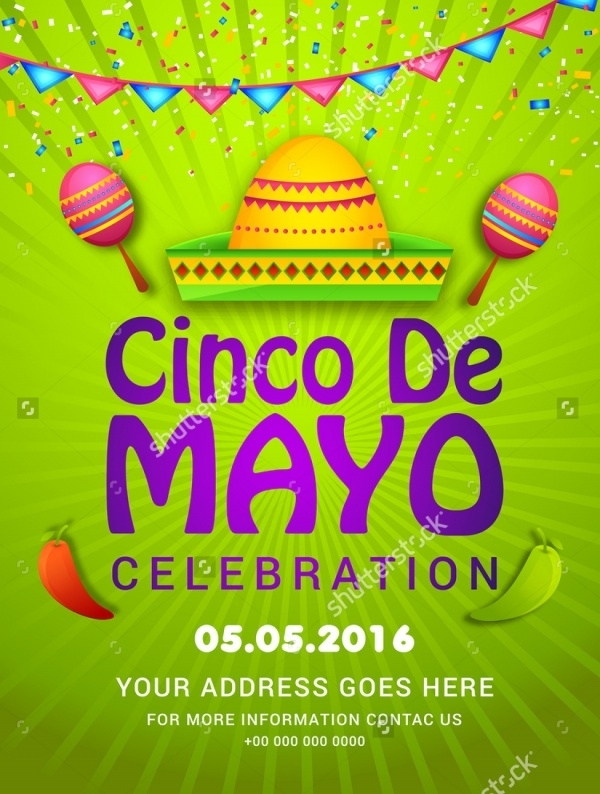 But make sure to add your graphic designer touch to the simple words mentioned above. 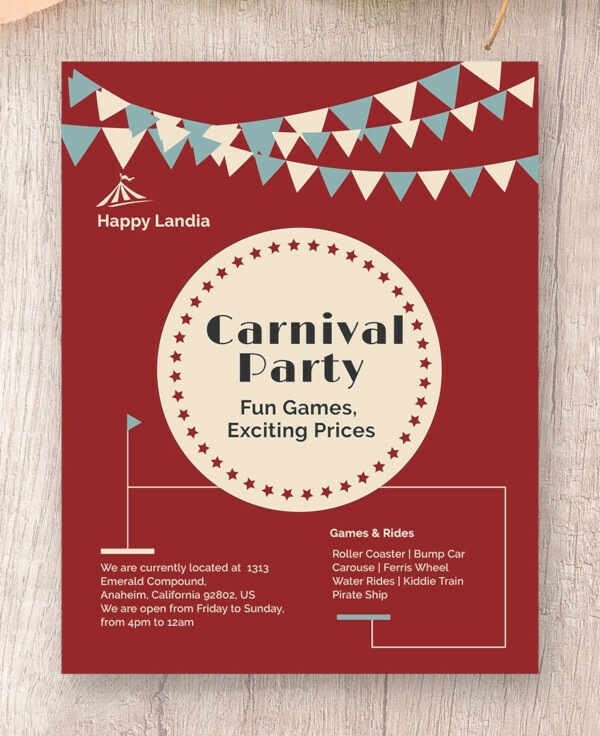 These flyer templates are not necessarily for carnivals. 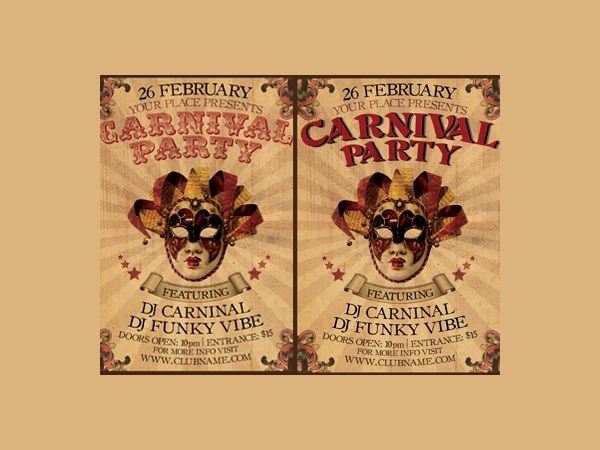 It can also be used for a masquerade theme house and club parties, or corporate events around similar themes. You can also add elements from different design ideas. 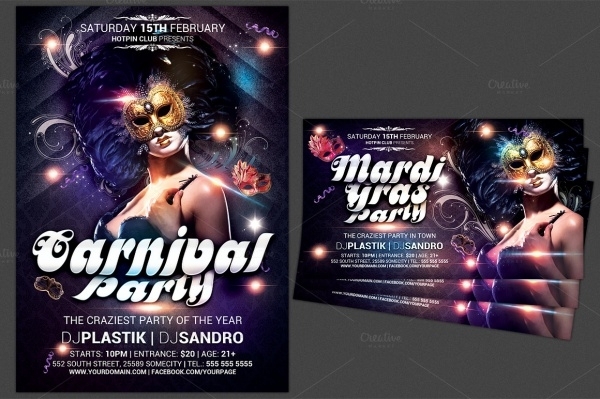 Like, mix matching the masks with geometrical patterns to use them in geometric flyers.